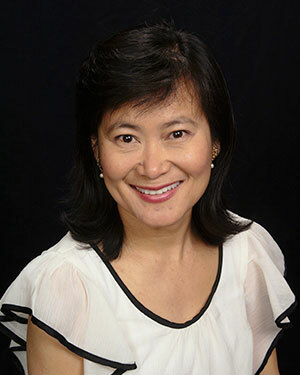 Dr. Millie Chang graduated from Indiana University School of Dentistry in 2001. She did her general practice residency at Indiana University Affilliated Hospitals where she gained experience working with Oral Surgeons, Periodontists, Oral Pathologists, Pedodontists, as well as experience in the operating room. She was employed at the Health & Hospital Coorporation for 6 1/2 years where she utilized her multi-lingual skills in reaching accross different cultural groups. She was nominated as the Most Valuable Employee of the Dental Department of H & H for 2005. She is a memeber of ADA (American Dental Association), IDA (Indiana Dental Association), & AGD (American General Dentistry). Dr. Chang has a passion for family dentistry. She is excited to follow through with treatment plans for the entire family. She's proud to see the positive changes in the oral health of her patients. She has been married for 22 years & has 3 children. She enjoys spending time with her family at home, as well as the family at the practice. Mr. Chang graduated from Michigan State University with a B.S. in Physiology in 1985. He has worked in the health field since 1993, in the capacity as a director and office manager. 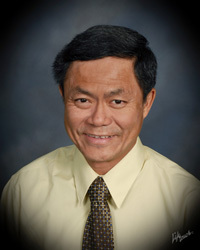 Prior to his health field career, Mr. Chang had worked in the food industry, tourism, and marketing and sales. Brianna has been working with Signature Smile Family Dentistry since July of 2015. 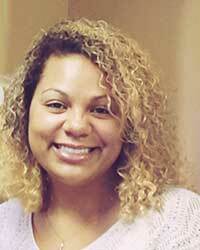 Brianna attended Kaplan College for dental assisting where she graduated with honors in 2013. She has been married for 2 years and recently had her first baby boy. She enjoys spending time with her family and friends, volunteering with animals and especially working to help others achieve their dental goals. Adilene has been working at Signature Smile Family Dentistry since September of 2015. 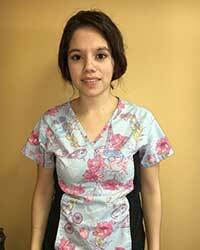 Adeline attended Indiana Dental Assistant School and graduated in 2015. She is happily married for 3 years and has an adventurous 3 year old son. During her down-time, Adeline enjoys playing soccer, going to the movies and shopping at the mall. Most importantly, Adeline enjoys being with the dental family here at Signature Smile. Our office staff includes long-time residents of the Indy area. Just like you, we understand that busy lifestyles and packed schedules can often interfere with regular dental checkups, as well as restorative and cosmetic dental procedures. Because of this, we have committed ourselves to providing a comfortable and convenient dental environment, as well as scheduling practices that are designed to fit into your active lifestyle. You can schedule an appointment with us by calling (317) 577-6453. If you're experiencing a dental emergency, do not hesitate to contact us immediately at (317) 577-6453. We will gladly take care of dental emergencies 24 hours a day, 7 days a week. In addition, we will never refer you to an emergency clinic in your time of need. All emergency dental procedures are handled in-house with the same care and precision as our scheduled appointments.